4. Is it a Secure Transaction? The credit card update utilizes Yahoo® commercial grade 256-bit encryption. 5. What if I have a Past-Due Amount? 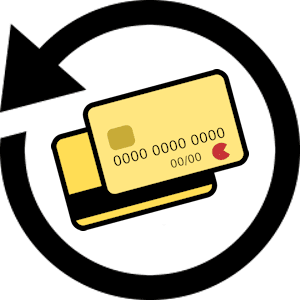 If applicable, any past-due balance will be charged on the provided card. 6. What is the AutoPay Billing Schedule? The automated alarm monitoring charge will occur between the 10th and 15th of every month in advance on the credit card for the upcoming month of service. 7. What if my Sales Tax Changes? We do business throughout the United States (US) and collect sales tax according to the particular states applicable law. If the law regarding any states sales tax changes, we are permitted to collect the appropriate sales tax at that time and correctly apply it on customer's credit card. In the event a customer is charged more or less sales tax than the law dictates in his/her specific location, it is the customer's responsibility to notify us and/or pay the appropriate taxes. 8. How does the Validation of New Credit Card Work? A pending charge of 1¢ will be placed on the credit card you provide. Upon confirmation of the new credit card's validity, we will then cancel the pending 1¢ charge (resulting in no charge on your credit card). 9. Can I prepay my alarm monitoring bill? Yes, if you prepay for the 12 months upfront, we will give you a extra 13th month of monitoring services for free. However, keep in mind there are no partial refunds issued, for any unused portion of the prepaid service. 10. What if I prepay my alarm monitoring bill and then move? Have peace of mind, knowing in the event you move during the prepaid time frame, the billing is transferable to your new location. Using this link makes me feel much safer since i know that this webpage is an encrypted website especially with all of the fraud that has been going on. Cheers geoarm love the service!